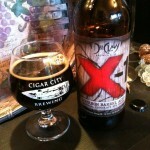 I received these two DuClaw Brewing eXile Series beers as a part of a trade a few months ago. The meat of the trade was set and some DuClaw beers were added to even out the dollar difference. 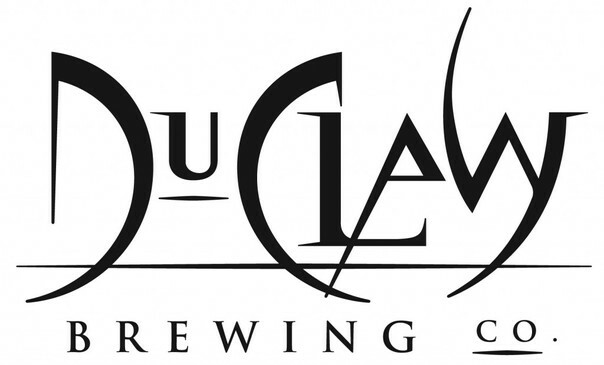 DuClaw appears to be a chain brew pub with several locations in Maryland, my trading partner seemed excited about them so I told him to throw in some of his favorites (Thanks Ken!). The eXile series will rotate styles and is to be released about 4 times a year. From there website: “…eXile beers will be released with much less ‘fanfare’ than our seasonals – no videos, no giveaways, no logos. Just an email (and blog mention) before they go on tap.” I am assuming this porter was the first in the series since it’s named X-1. 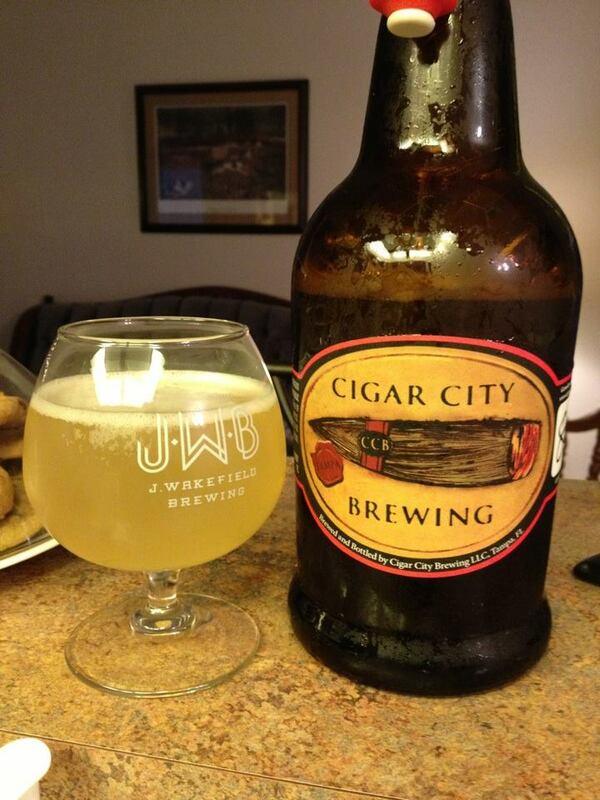 Although I wouldn’t consider either beer complex, both were quite good and are something I would happily drink again. 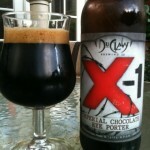 X-1 Imperial Chocolate Rye Porter is nice and flavorful with a big helping of chocolate and roasted malts. Unfortunately I really did not get much of the rye at all, maybe just a small bit on the finish. I was definitely expecting more dry spiciness with this. 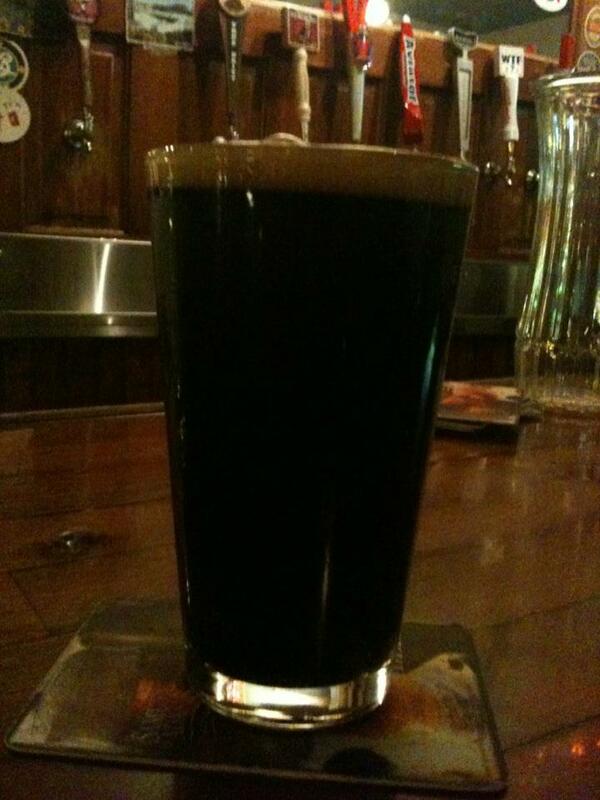 Overall this is one solid imperial porter that I would like a chance to try again someday. 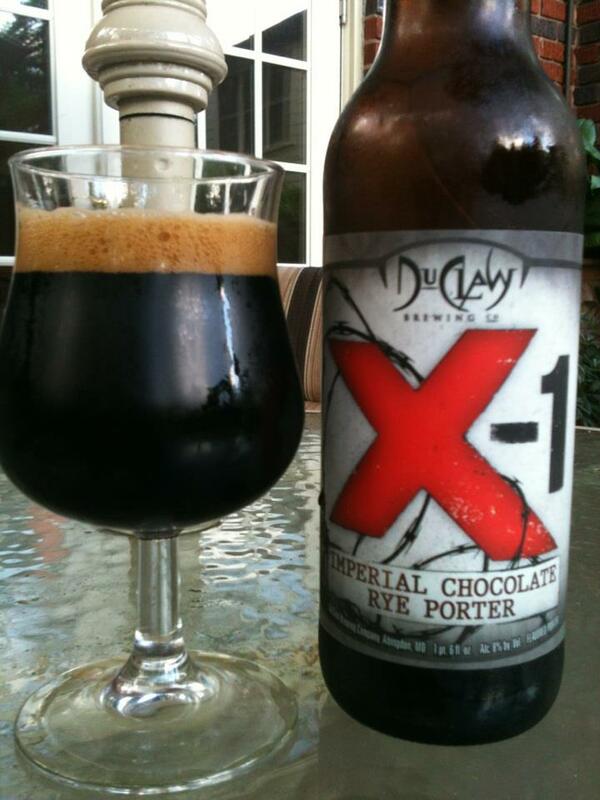 DuClaw- X-1 Bourbon Barrel Aged Imperial Chocolate Rye Porter starts with a nice bit of mild bourbon on the nose. Taste wise there is more mild bourbon mixing with the chocolate just as advertised. I am getting some of the rye on the finish, which is kind of surprising since I got very little rye from the non-barrel aged version. 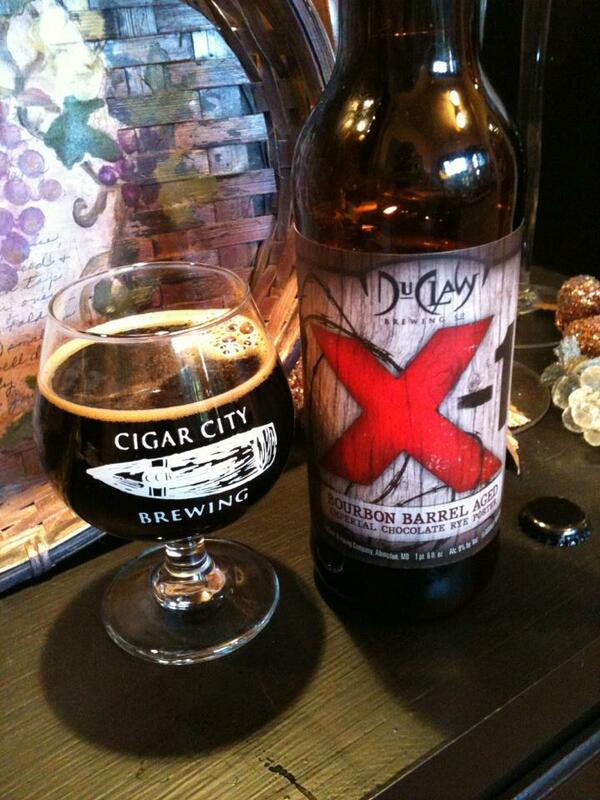 This is a pretty easy drinking bourbon barrel aged porter. Keith is the Cellarman at Service Brewing Co. in Savannah, GA. When he isn't helping produce the best beer brewed in Savannah, he is your average beer geek. Most of his free time is spent thinking about, talking about, trading for, drinking and reviewing beer.